Create a new Wi-Fi network or wirelessly connect two networks together with the D-Link Xtreme N Duo Wireless Bridge/Access Point (DAP-1522). Optimize your new or expanded network to stream HD media, play multiplayer games, or make Internet phone calls (VoIP). Create a new wireless network using the Access Point feature by connecting the DAP-1522 to an existing wired network. Use your new wireless network to stream high-definition (HD) video, play multiplayer games, or make phone calls (VoIP) using the built-in dual band technology. The DAP-1522 has selectable 2.4GHz or 5GHz bands. 5GHz is ideal for wirelessly streaming multiple HD videos across your network. It helps avoid interference by providing a clearer wireless band for HD signals than existing 2.4GHz products. 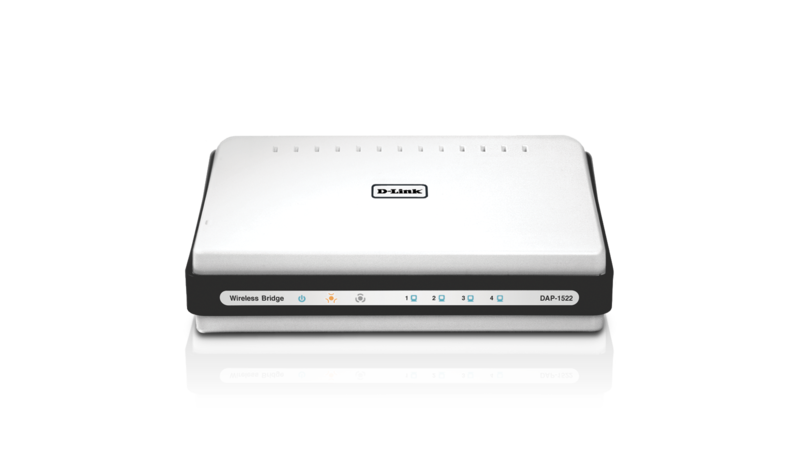 Delivering superior wireless performance, clarity, and coverage, the Xtreme N Duo Wireless Bridge/Access Point (DAP-1522) is the ideal addition to your wireless network in the home. * Due to government regulations the 5.25~5.35GHz and 5.47~5.725GHz wireless bands are removed.